Hollie Emerson follows Dr. M. Cristina Victorio’s direction as she takes part in the new ROCKET clinical trial, which aims to find relief for acute headaches in children. For anyone who has ever suffered a migraine, they’ll be the first to tell you it’s unlike a typical headache. The intensity and duration is enough to make even the toughest adult want to lie down in a dark room and rest for days. While adults have access to migraine-specific prescription medications to ease the pain of migraine, adolescents and children aren’t so lucky. Dr. Victorio is a pediatric neurologist and director of the headache program in the NeuroDevelopmental Science Center (NDSC) at Akron Children’s. Migraine is a very common disorder that affects 37 million Americans; 1 in 5 women, 1 in 16 men and 1 in 11 children. Migraine is an intense throbbing headache on one or both sides of the head and can last from 2-72 hours, and associated with nausea, vomiting and sensitivity to light or sound. The severity of migraine can impact school performance, attendance and overall activity level in children. The mainstay of migraine treatment is making lifestyle modifications such as avoiding food triggers, maintaining a balanced diet, getting regular sleep and exercise and limiting stress. During a migraine attack, an acute medication to relieve the pain and other symptoms of migraine such as vomiting may be prescribed. And, when migraine becomes frequent, medications and bio-behavioral therapy to prevent migraine are recommended. Dr. Victorio is no stranger to research. During her tenure at Children’s she’s lead several studies and published multiple papers on pediatric headaches. She’s also a member of the American Headache Society (AHS) where she’s part of a special interest group that focuses on children and adolescent headaches and invests in opportunities for scientific research in the hopes of improving pediatric headache care. 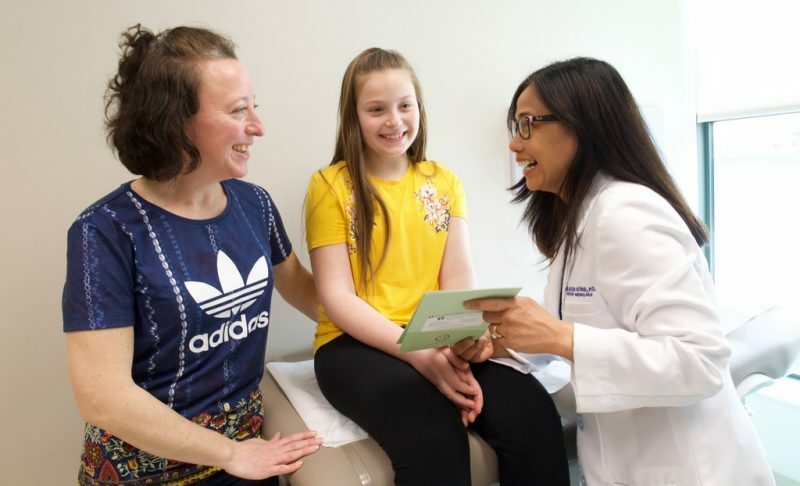 As part of a clinical trial, Dr. Victorio meets with parents and patients regularly to ensure they understand the study, go over questions and even share a quick laugh together. One of the outcomes from the AHS group was a collaborative clinical trial, Treatment of Acute Migraine Headache in Adolescents (TEENZ), which Dr. Victorio brought to Akron Children’s in 2009. TEENZ tested a treatment to alleviate migraine pain in kids 12-17 years old. Dr. Victorio and her research team received a gold award from the trial’s sponsor, AstraZeneca, for high enrollment in the study. Thanks, in part, to their efforts in the trial, the prescription drug gained FDA approval and is now being prescribed to teens in need of migraine relief. 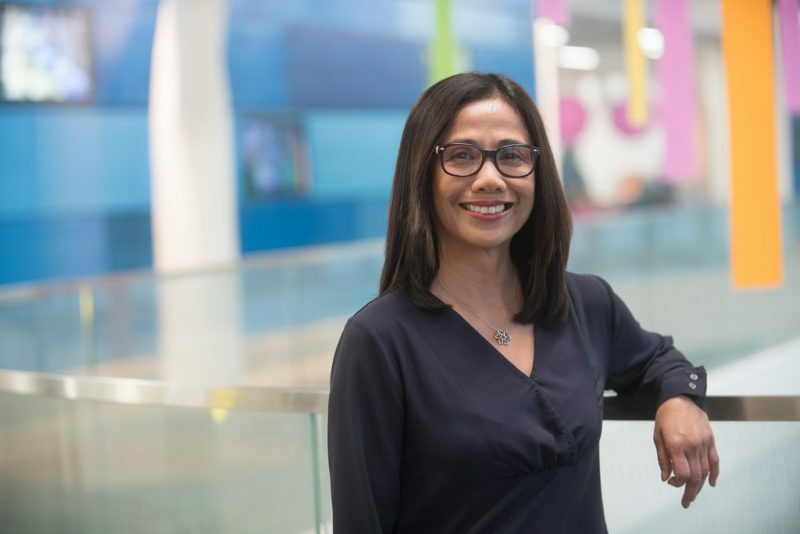 “It takes a while for the FDA to approve a drug after a clinical trial so it’s important to continually search for research opportunities for pediatrics in the hopes of not only offsetting symptoms, but also providing access to prescription medicine,” added Dr. Victorio. Once more, Dr. Victorio’s involvement with AHS has brought a national, collaborative clinical trial to Akron Children’s, but this time it’s in search of a childhood migraine treatment. The Research Study For Migraine Attacks in Pediatric Patients (ROCKET) aims to discover the effectiveness and safety of a zolmitriptan nasal spray for acute migraine treatment in children 6 to 11 years old with an established diagnosis of migraine, or migraine frequency of 2 or more attacks per month. The study design is pretty simple, with 2 requirements for patients who are accepted in the study. First, participants must take a treatment at the onset of a migraine and second, they have to log details about the headache and other symptoms in a diary. The information then helps researchers determine if treatment reduces headache duration and associated symptoms (nausea and vomiting) and what side effects, if any, occur. During the study, participants come in for 4 follow-up visits so researchers can check the child’s overall health, including heart, energy level, behavior changes and frequency of headaches. Akron Children’s nurses Heather Ekers and Amy Kundmueller are part of the ROCKET clinical trial team and talk with Hollie about how to fill out her migraine diary. To bring a study like ROCKET to Akron Children’s Hospital’s Rebecca D. Considine Research Institute, a feasibility evaluation was conducted to ensure the research institute could fulfill the requirements of the study. Feasibility looks at things like access to patient population, location or proximity to patients and compliances. Dr. Victorio feels the institute is an ideal venue for bringing great studies to life. Besides access to a diverse patient population, the institute has access to dozens of researchers who join studies based on their personal interests and skills. For ROCKET, Dr. Victorio works with other pediatric neurologists, a nurse practitioner and nurses at the NDSC, as well as research coordinators to identify, recruit and enroll patients to ensure the success of the study. For more information about the ROCKET clinical trial or to see if your child is a candidate, please contact the Research Institute at 330-543-5012.